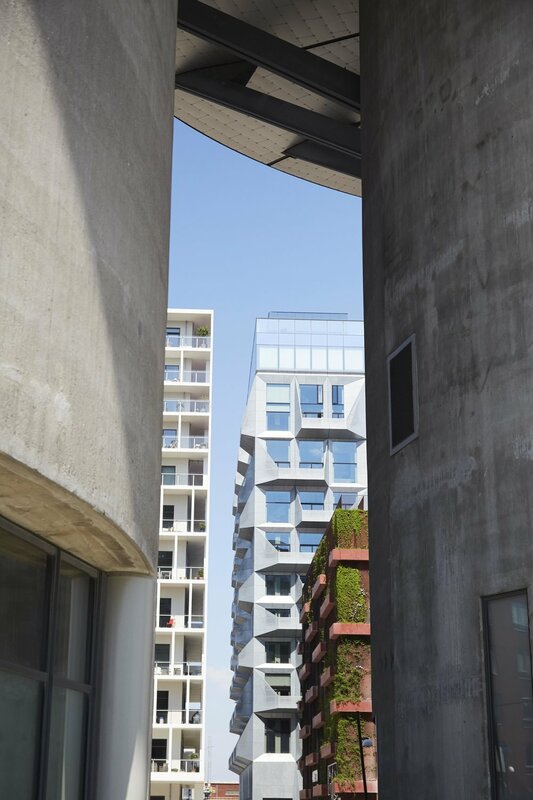 Architecture plays a big roll in the development of the area and the philosophy has been to develop the area with new and modern buildings and at the same time retain the landmarks of the area by transforming the old industrial harbour buildings. A long boardwalk facing the water leads to The Silo. A swimming zone is the popular hotspot for the local inhabitants as well as Copenhageners from other parts of the city. JAJA Architects has designed the building that rises 24 meters from the ground, offering a beautiful view of the sea and the harbour. From the roof, you can in bright weather see all the way to Sweden. The children can play, and you can exercise, or enjoy the view. The prominent facades of the building are covered with big rusty panels, over time they will be overgrown by green plants. The roof is open every day from 07:00 - 22:00.
konditagetlüders.dk Helsinkigade 30, 2150 Nordhavn. 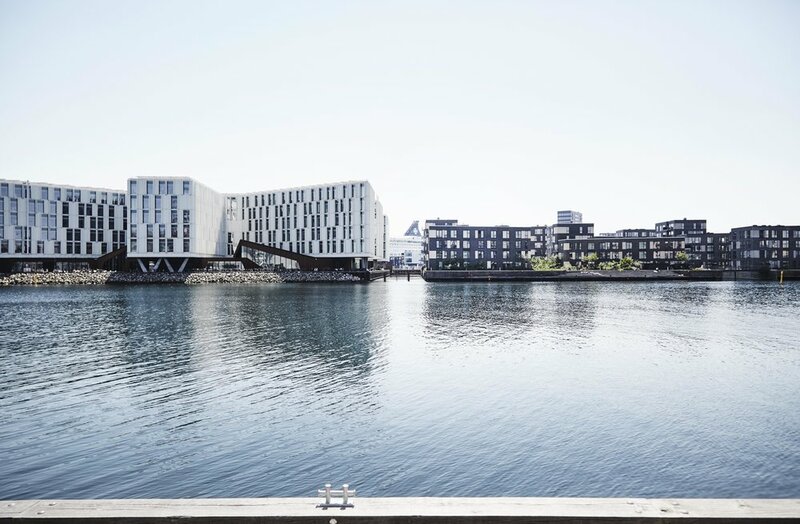 One of the new buildings in Nordhavn is the beautiful residence of the architect company Entasis. It is fitted in the structure of smaller workshop buildings and is miming the soroundings with its tactile brick facade. The design company Menu has its public showroom Menu Space next door to the their main office. 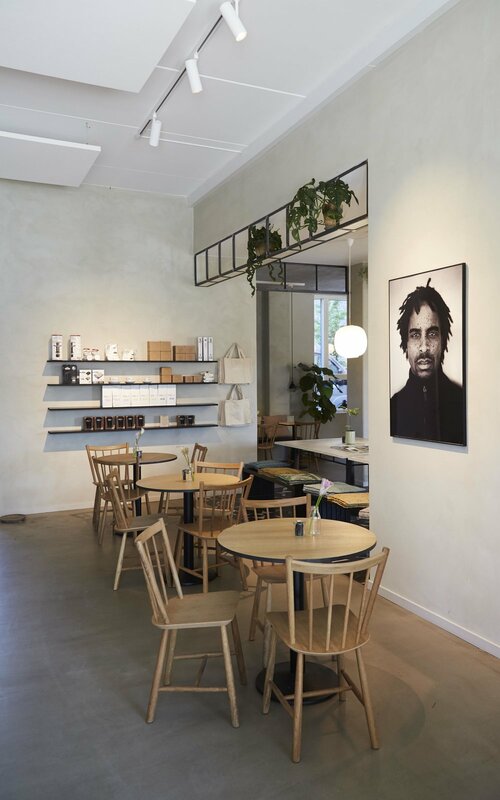 The cafe, Copenhague is located in the showroom, and you will enjoy the whole interior decorated by the architect Danielle Siggerud as you enjoy an espresso. The Menu interior ranges from furniture to lamps to objects for everyday use. 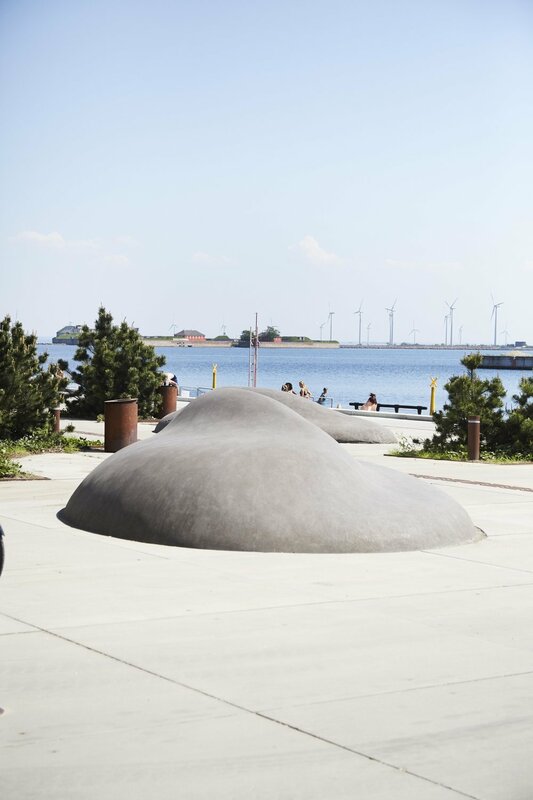 Menu was founded in 2012 and is located at Hamborg Plads, 2150 Nordhavn. 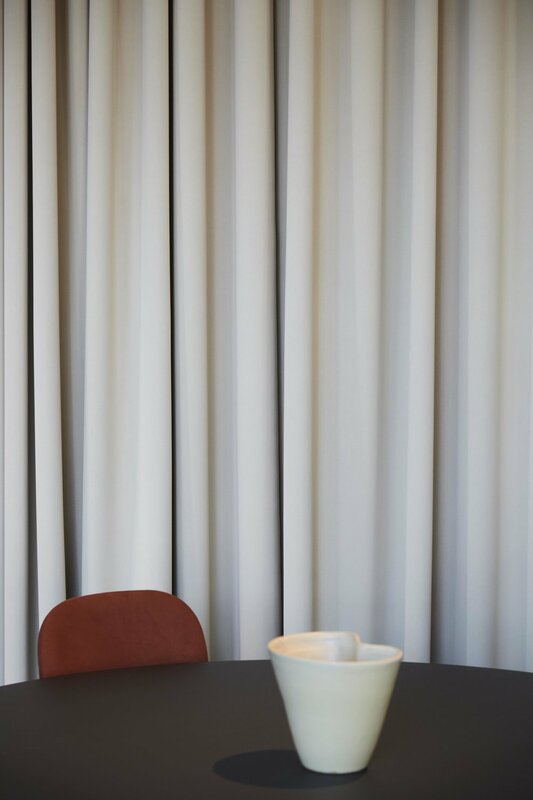 Menu together with their partner in crime Norm Architects (whom they have been working closely with since their startup) are having new plans in the pipeline. Next year they are opening a hotel, restaurant and headquarter in an old building just behind Menu Space - they have already take the first punch stick - we are looking forward to experiencing the new place. 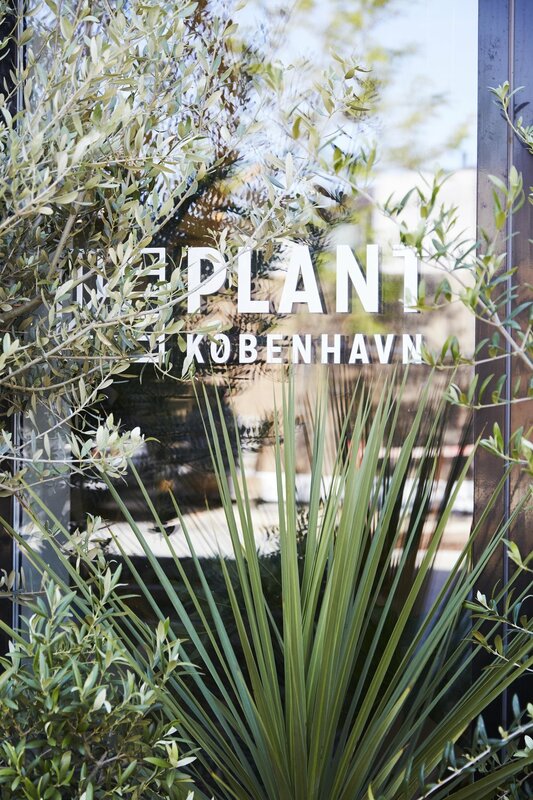 Plantkbh is a special place if you are into botanical style. And this is the place Appeal Magazine go for plants and inspiration. 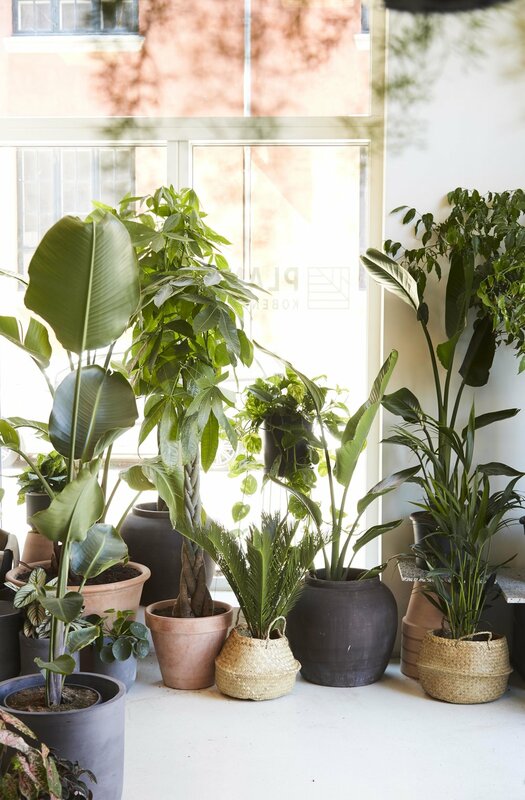 Originally established in the trendy Jægersborggade as a cactus shop by the three friends Gro Bastian, Maj Bastian and Cecilie Krawack, the shop today is full of all kinds of botanicals, tropical plants and huge trees. 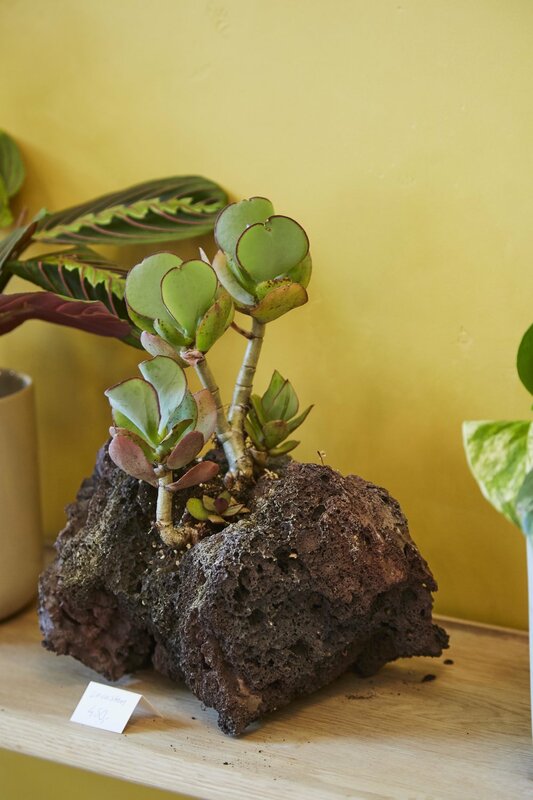 And entirely new: succulents growing on Icelandic lava. You can also find a lot af ceramics in the shop and very often the shop is making events - check out their website below for more information. Yume is the Japanese word for dream. 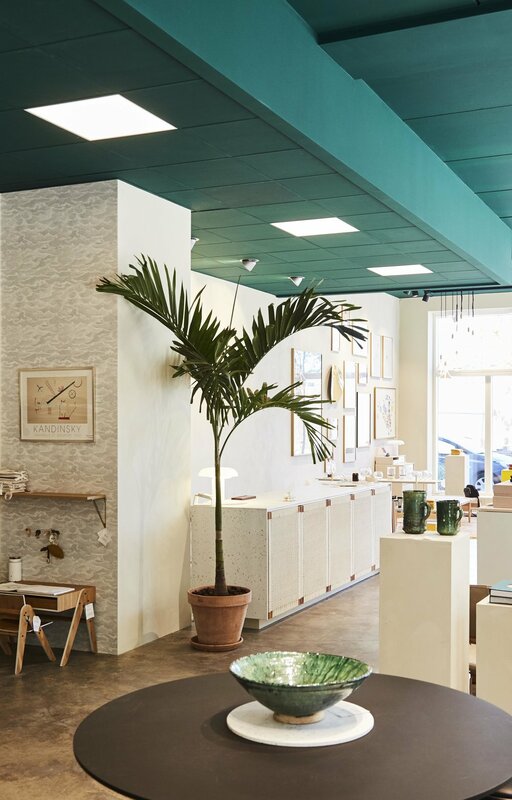 It's a fresh experience to enter the Yume store, the thick green ceiling and the rounded window at the very end of the shop form a nice contrast to the light walls. 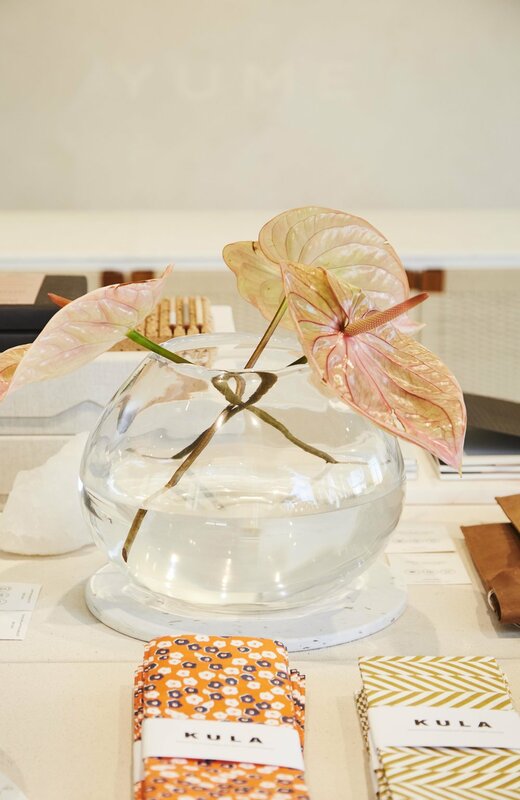 You will find nothing but sustainability in their full range of design from all over the world. Posters, healthcare products, Nicaraguan chairs, mirrors, lamps, rugs and textiles, to mention a few. 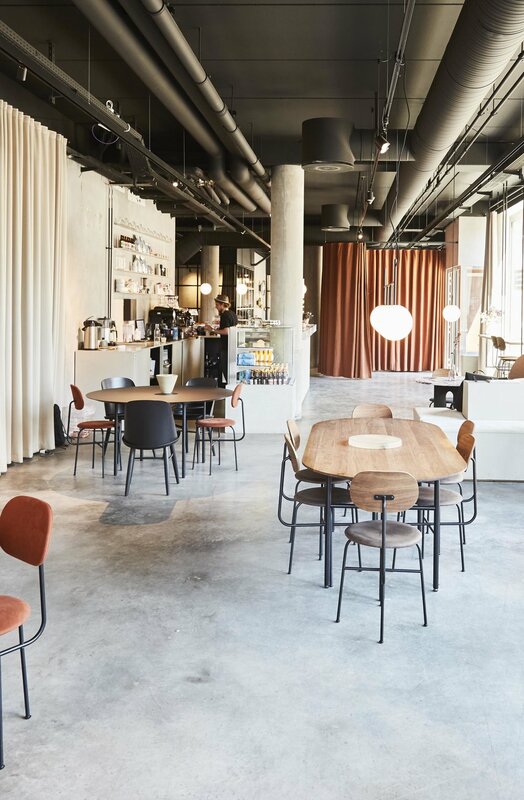 Paustian is a well-established furniture house worth a visit both for its beautiful design furniture and to see the building itself designed by the famous Danish architect Jørn Utzon (Sidney Opera and more). The interior spaces is like a temple of beech trees, their crowns support the roof. There is an excellent restaurant in connection with the furniture store. Located directly to the Nordhavns northside. One of our favorit coffee dealers - go for an iced coffee on a hot day or a Foss - made with their own roast and with a expert balance between milk and espresso. 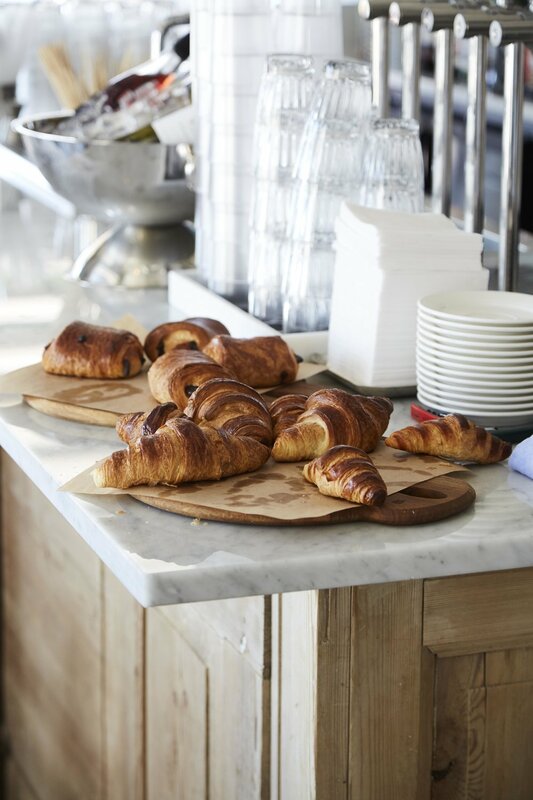 They also serve breakfast, sandwiches and cakes. Take a break at the Bar Uno, where you have an excellent view of the harbour basin and the board walk. The interior is dominated by tiles, marble and rough-looking tables. 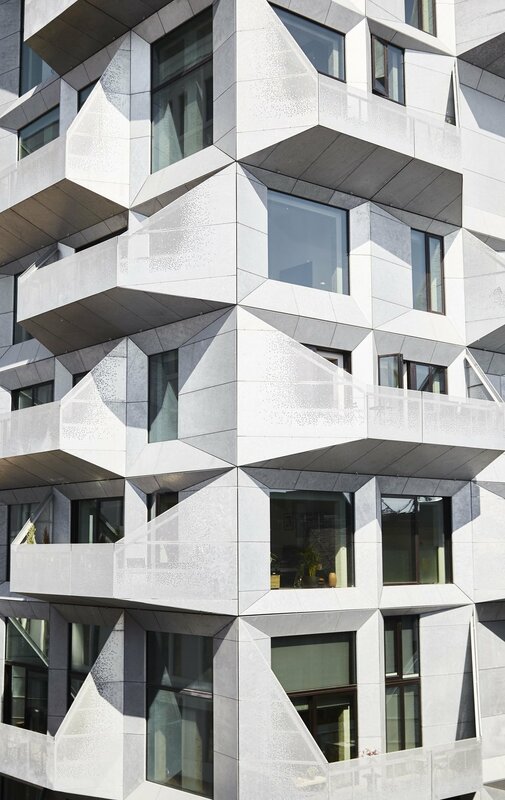 It gives the atmosphære a modern Italian feel. They serve high-quality pizzas, cocktails, wine and good beer.